In honor of St. Patrick's Day, I'd like to share with you the story of one of the few Irish passengers to sail in First Class aboard the famous and ill-fated ocean liner, Titanic. Isn't it amazing how you can be doing genealogical research on one person and suddenly someone else shows up in your search - unexpected and unknown - as if to say, "What about me?" In this case, I was researching Victorian-era actress Louise Pomeroy for our recent Facebook post in celebration of Women's History Month when I noticed one of my online search hits contained a different Pomeroy name and the word "Titanic." What was this? There were no Pomeroys on the Titanic! Or so we thought. 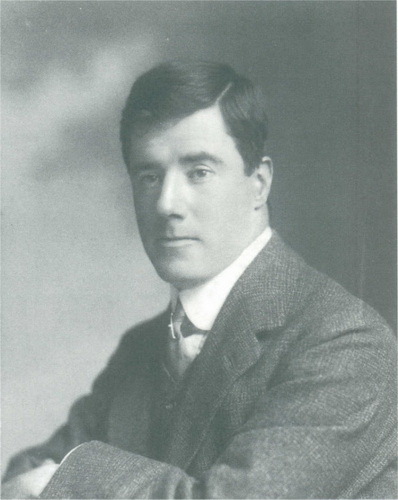 Edward Pomeroy Colley was born in Dublin, Ireland on April 15, 1875 to a distinguished and landed family. One of ten children of Henry Fitzgeorge Pomeroy Colley (1827-1886) and Elizabeth Isabella Wingfield (1832-1903), his father was a magistrate and landholder. Edward was a civil engineer and land surveyor with business interests in both Canada and Ireland. He shared a mansion in Dublin with his older brother George Pomeroy Arthur Colley (1866-1933) and George's wife Edith Maud Oliva Finlay (1881-1975), but maintained a home in Victoria, British Columbia, in the affluent English Bay neighborhood. During the Klondike Gold Rush, Edward had opened a mining brokerage firm in Vancouver, successfully speculating in mining stocks as well as surveying Yukon lands for mine owners. I noticed both Edward's brother George and their father Henry also shared the Pomeroy name. As I have found that "Pomeroy" given as a middle name often signals the maternal lineage, I started with that assumption - a decidedly American assumption. Titled Europeans play by different rules when it comes to family names. Here's a quick genealogy of Edward's family. The Colley family arrived in Ireland in the 16th century. Captain Henry Colley served under the reigns of Henry VIII and Elizabeth I and was granted lands in Carbery, County Kildare. He was knighted in 1576. Fast forward a few generations to 1747 and the Colleys marry into the Pomeroy family when Mary Colley (1723-? ), only child and heir to Castle Carbery, wed Arthur Pomeroy, 1st Viscount Harberton (1723-1798). The title of Viscount Harberton passed down through each of the three Pomeroy sons, Henry (1749-1831? ), Arthur James (1753-1832), and John (1758-1833). After the death in 1833 of John Pomeroy, 4th Viscount Harberton, his son John James Pomeroy (1790-1862) succeeded to the title of 5th Viscount Harberton. It was then I discovered the answer to my question. In 1830, John's younger brother George Francis Pomeroy (1797-1879) assumed the surname Colley and moved his family to Dublin (I assume this came with an inheritance through his grandmother, Mary Colley, but I have not researched that aspect). I also started to see the name Pomeroy had been given to the children. George Francis and wife Frances Trench (1800?-1871) gave the name to two of their sons, Henry Fitzgeorge Pomeroy Colley and George Pomeroy Colley (1835-1881) (Major-General Sir George Pomeroy Colley of Boer Wars infamy). Henry and his wife Elizabeth had ten children, seven of whom had Pomeroy in their given name, including Edward Pomeroy Colley. Therein lies the answer to how a Pomeroy became a Colley. It was not a nod to the maternal line, but to the paternal. Because Edward Pomeroy Colley had business on both sides of the Atlantic, as well as family in Dublin, and the income to afford frequent travel back and forth, I've been able to trace him sailing on the Umbria in July 1905, the Campania in March 1906, the Lucania in April 1908, the Mauretania in 1909, the Lusitania in April 1911, and - finally - the Titanic in April 1912. At the time, ocean liners such as these sailed into New York and travelers like Edward would make their way across the U.S. to Washington State, heading north to cross the Canadian border. Although not a U.S. citizen, Edward nonetheless showed up in U.S. Passenger Lists for this reason. According to the Kildare Observer in an article published shortly after the Titanic tragedy, Edward had been in Ireland for Christmas 1911 and was returning to his home in Canada. The article goes on to recount Edward's last night on the ship, attending a concert in the first class reception area on D Deck and retiring to his cabin just after 11 p.m. He drowned the next morning - his 37th birthday. Reportedly he was "one of the heroes who sacrificed his life for others in the disaster." His body was never recovered. A final letter Edward wrote to his sister-in-law Edith Maud Olivia Finlay (1881-1975), wife of his brother George Pomeroy Colley (1866-1933) and affectionately known as Edie, gives us a glimpse into life in First Class. The letter was auctioned off a few years ago after it had been in the Colley family's possession since Edward's death. He had posted it in Queenstown, Ireland where the ship made its final call before heading across the Atlantic. Read a transcript of it by clicking the link above. Mount Colley, Yukon Territories, Canada was named for the late Edward Pomeroy Colley who surveyed this area in 1905 and 1906. 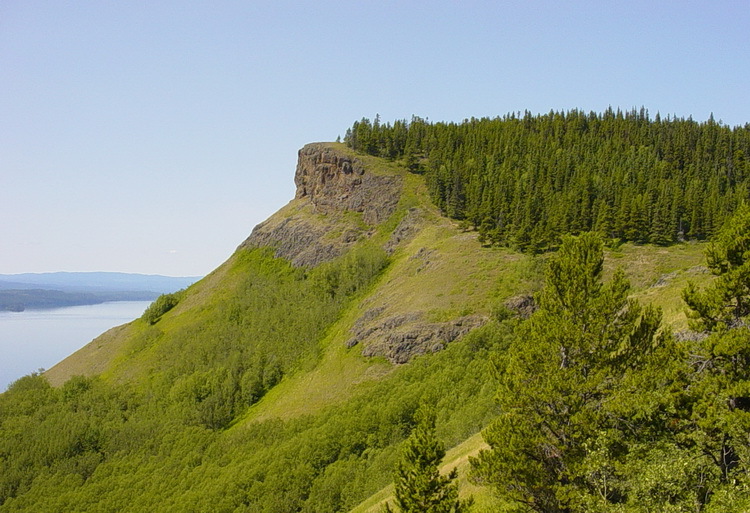 The Canadian government named Mount Colley in the Yukon Territories for Edward Pomeroy Colley, who had surveyed the area in 1905 and 1906. Finally, during my research into the Colley and Pomeroy families of Dublin, I discovered some supposed famous family connections. While I have not verified these, I'll discuss them here and let the reader decide. Burke's Peerage, both the 1869 and 1880 editions, state that Edward had a paternal uncle named John Thomas Colley (1828-1855) who died in California. This would have been during the California Gold Rush, so perhaps Edward was not the first in his family to seek fortune in North American gold. While I found records for quite a number of John Colleys coming to America at this time, all were listed as some type of laborer with the exception of one. A passenger manifest for the ship Liverpool arriving in New York in 1849 listed a "Mr. John Colley, 23, Gentleman" from Ireland among the ten obviously upper class passengers identified as ladies, gentlemen, one servant and a doctor. All were given the honorific "Miss, Mrs., Master, or Mr.", whereas the remaining passengers are simply listed by name and occupations such as mechanic, farmer and grocer. I also found two references to Edward being a descendant of the Duke of Wellington and uncle to novelist Elizabeth Bowen. Edward Pomeroy Colley lived a short, but interesting life during a period of expansive growth in both the U.S. and Canada. While he was a British citizen, we can certainly claim him as a North American Pomeroy. Genealogical and Heraldic Dictionary of the Peerage and Baronetage, Burke, Sir Bernard. 42 Edition. London, 1880. Digitized on Google Books. Read past blog posts from 2009 - July 2015.